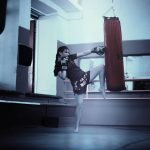 We’re all looking for ways to make our workouts more challenging and interesting, right? Exercise balls are one of the best ways to do this, being an inexpensive, versatile item to add to our home gym set ups. 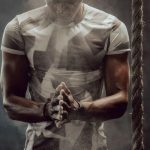 This article will list some of the best exercise balls available right now, and then provide you with all the information you need to get started and mix up your exercise regimen with the best exercise ball for you. Why Purchase an Exercise Ball? What are the benefits of exercise balls? Is sitting on an exercise ball good for you? Are exercise balls good for your back? What exercise ball is the right size for me? Is using an exercise ball good for pregnancy? Is using an exercise ball good for lower back pain? Review: This is one of the most popular exercise balls on the market right now. It is very tough, long lasting and burst resistant to 2000 lbs. It is very versatile, copes well with being sat on for long periods and comes with a workout guide. High-quality, burst-resistant PVC is extremely durable. No odor when it comes out of the box. Hand pump not as durable as the ball itself so you may need to use another pump. One of the most durable and high quality exercise balls on the market, this is the best exercise ball all round due to its excellent quality and value for money. 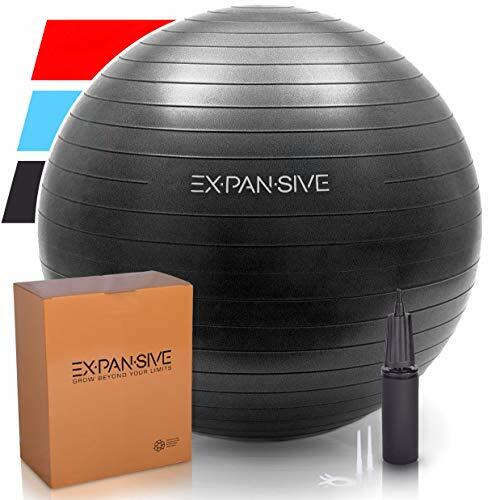 Review: This exercise ball is designed with durability in mind, being extra thick and capable of withstanding 2200 lbs. This is the exercise ball you’ll want two of, one for the office and one for home. Made of non-toxic, BPA free PVC. Slip resistant surface together with ridges makes it ideal for balance and core exercises. The ball is a little heavier than others on the market, but this could be a pro depending on how you want to use it! This is the best yoga ball owing to its extra-thick material and slip resistant surface. For the same reasons, it’s also the best exercise ball for pregnancy. 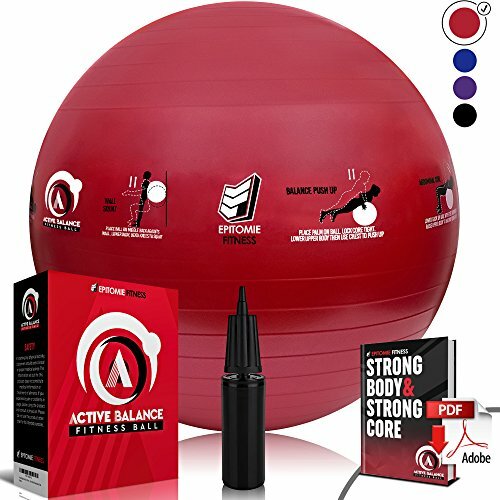 Review: This is a good quality exercise ball with care taken to ensure even thickness of the casing so that ball doesn’t change shape over time, and extra handy measuring tape so you know how much to inflate. Comes in 4 sizes and 5 colors. Anti-burst technology and 2000 lbs rating. 2mm PVC even thickness holds its shape over time. Comes with a measuring tape to aid inflation. Some issues with sizing, if in doubt, go larger. 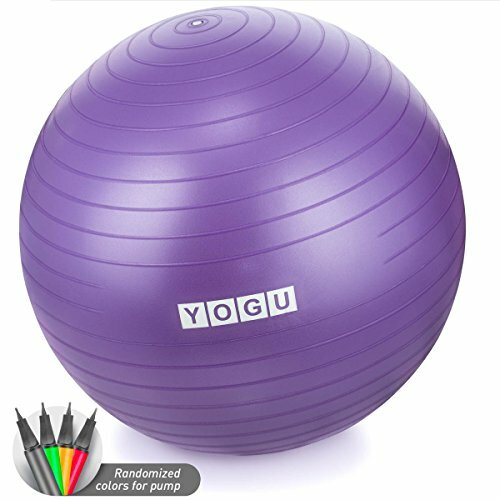 This is a popular exercise ball that is reliable both for sitting on and using for a variety of exercises. Review: Another extremely popular stability ball, and easily one of the best exercise balls on the market. It is durable and anti-burst while coming equipped with free online exercises. Designed to cope with 2200 lbs. Anti-slip ridges make it ideal for exercising. 2mm PVC construction is thick, durable and anti-burst. Some issues with the ball’s shape, some seem to come a little egg shaped. 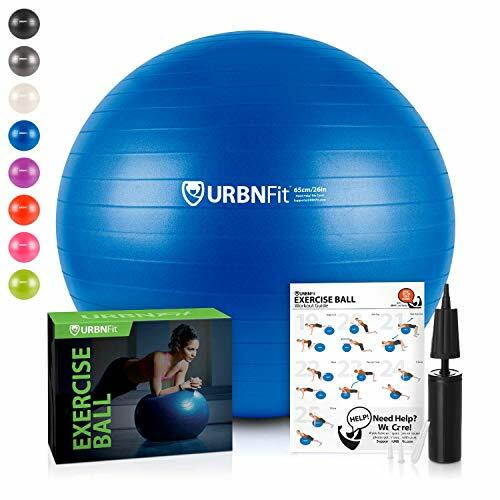 This is a good value, durable exercise ball that is ideal for beginners if you’re looking to get started. Review: Another reliable and popular exercise ball that handles office and home life well, this product is versatile and affordable. Available in 4 colors and 5 sizes. Weight rated to 2000 lbs. Some issues with sizing, some balls arrive smaller than expected. Doesn’t come with a guide for inflation. 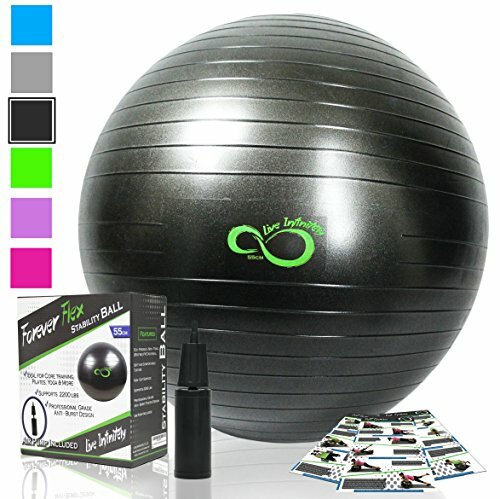 This is a good quality exercise ball for home workouts and is ideal for stability exercises. Review: This exercise ball is designed specifically with yoga and pregnancy in mind. It is likely too small to sit on for office use, but is the perfect size for core and balance exercises. Light enough to lift with your legs during ab workouts. Popular as a birthing ball to relieve spasms. Hard to know much to inflate it the first time. Only comes in one size (65cm). This is the best exercise ball for abs and a great option for use as a birthing ball. 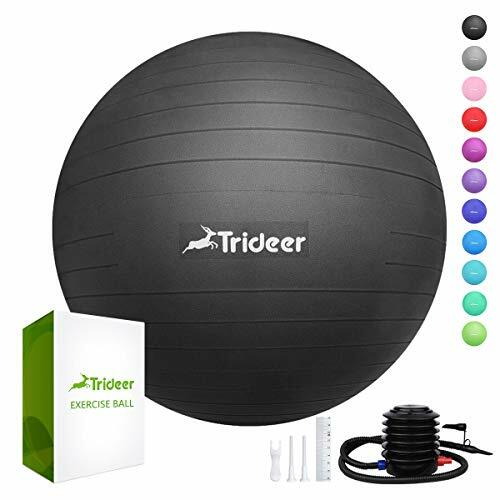 Review: This popular exercise ball is well suited to floor workouts, being durable and with a practical non-slip surface. 2000 lbs. Static strength rating. Comes in 4 sizes and 3 colors. Some issues with plugs or pumps missing when shipped. 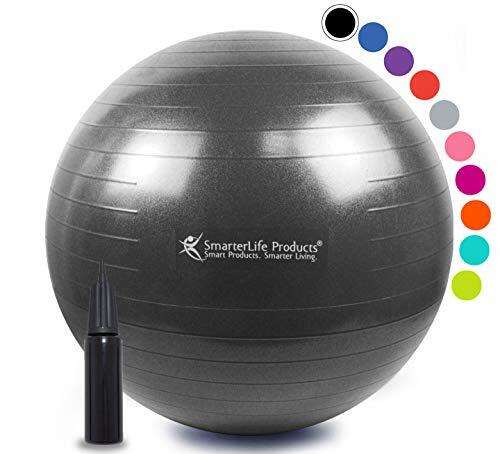 This is a versatile and durable exercise ball that will cope with all core, balance and birthing exercises. Review: This ball comes with a unique design twist, having 13 popular exercises printed on the ball for easy viewing and continuous inspiration. Comes in 2 colors and 3 sizes. Includes a PDF Exercise book. Comes with 2 plugs and a plug remover. The pump is a little exhausting to use, but at least you only have to do it once! This is the best stability ball for core and balance exercises, being a “gym grade” ball. Review: This professional grade exercise ball is ideal for Pilates and pregnancy exercises. It is thick, durable and burst-proof. Anti-burst up to 600 lbs. Non-toxic PVC is free of the 6 harmful Phthalates. Comes in a range of colors and sizes and you can choose whether or not you purchase the pump with the ball in case you already have one. Instructions to inflate not included. Some find that the ball has an unpleasant odor. 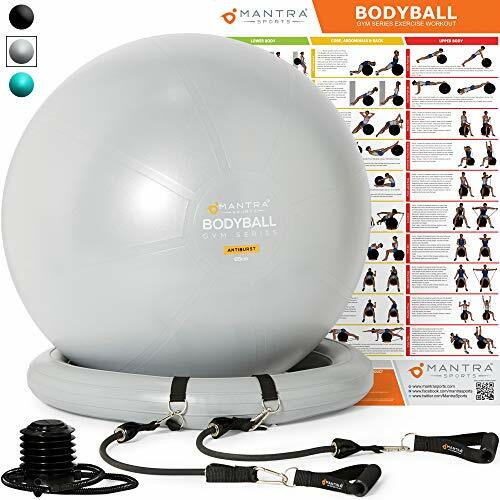 This is another of the best exercise balls for yoga and Pilates and the best balance ball. Review: This exercise ball comes as a set with resistance bands and a removable base to keep the ball stable while you exercise or sit. The stability base makes this the ideal exercise ball for beginners. Heavy duty PVC ball is reliable quality and not compromised by being part of a set. Comes with a tape measure to make inflation easy. Comes with a large poster detailing all the possible exercises. Many issues with defective products and items missing on arrival but the amazing customer service seems to make up for this. 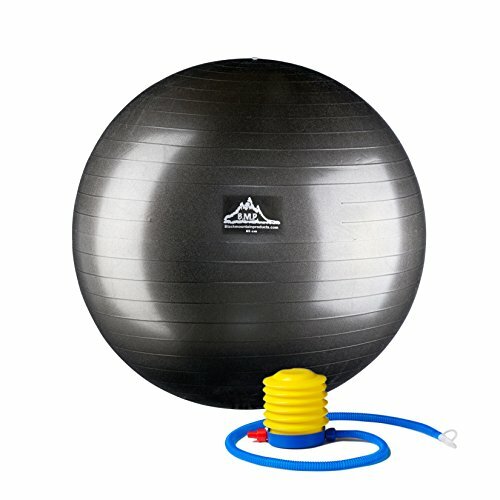 The best exercise ball for beginners who aren’t confident balancing. Review: This is a mini version of the exercise balls above designed with more specific exercises in mind. It obviously can’t be used as a chair for sitting at a desk but that’s about the only thing it can’t do. High quality PVC can sustain 600 lbs. 9” size is ideal as a therapy ball for recovering from an injury. 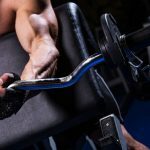 High grip surface makes it easy to hold and exercise with. A little difficult to inflate for some people. This is the best exercise ball for Pilates exercises that involve lifting the ball with your arms and legs. 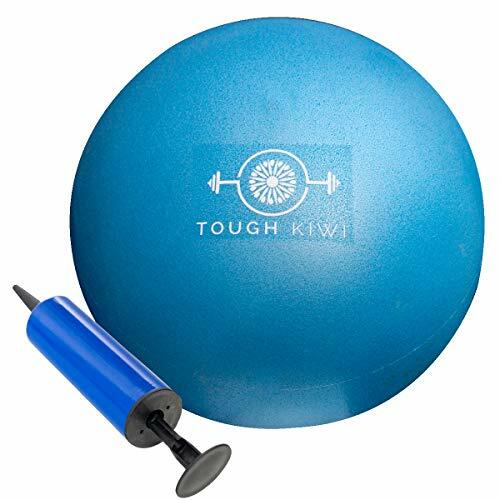 Review: This is another reliable mini exercise ball that is a great alternative to a full sized ball and is ideal for core work and Pilates. Anti-burst design with a plug, not valve. 9” size is ideal for exercises that involve gripping the ball between your legs. The smaller size makes it a little difficult to not let too much air out in the process of removing the pump and replacing the plug. 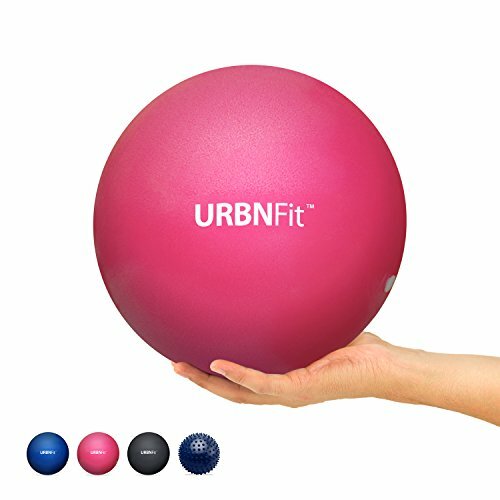 This is a convenient 9” ball that makes a great addition to your workout and is ideal for use in small spaces. 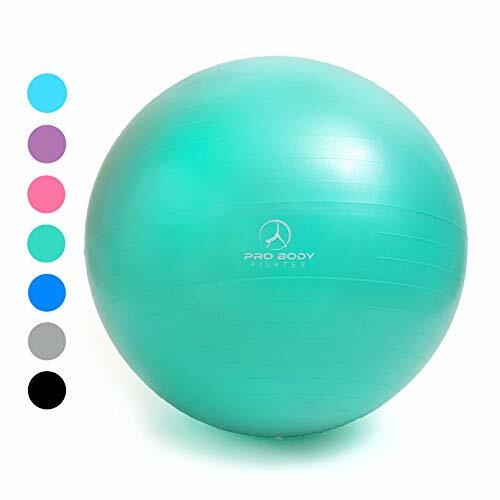 Review: This is a balance ball designed to be used as a chair as it has a slightly flatter bottom meaning it should stay in position without rolling away when you’re not sitting on it, but it still requires some core strength when sitting on it. Attractive ball cover comes in different materials and textures to match your style. Cover has a convenient carry handle and non-slip bottom. Comes in 2 sizes, standard and max. A little more expensive than the other balls on this list. 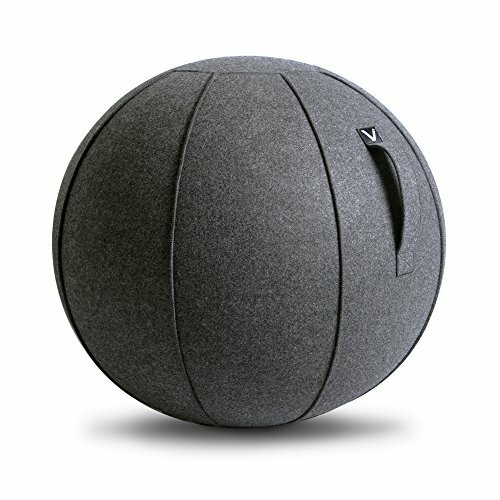 If you want an alternative to a chair for your office and home but don’t want it to look like an exercise ball, this is the ball for you. This is the best exercise ball for office use. 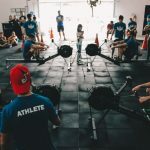 There are so many options for gym equipment out there these days that it can be hard to know what products are actually going to add value to your gym set up. An exercise ball is an example of a product that is so versatile, it’s probably impossible to regret. Exercise balls, also known as yoga balls or balance balls, can be used for a huge range of balance and core strength exercises, as well as replacing your chair at home or the office, and providing valuable relief for pregnant women. Many pieces of gym equipment only target specific muscles making it difficult to get a well-balanced workout. On the other hand, exercise balls activate whole groups of muscles, including all of the often-forgotten stabilizer muscles. This makes them one of the best ways to improve core strength and balance. Finally, exercise balls are particularly beneficial for women, being one of the best ways to strengthen pelvic floor muscles and prepare for pregnancy. However, as with most products, there are so many on the market, it can be very hard to know how to choose! The main thing to look for is the thickness of the PVC and burst resistance. Obviously, thicker PVC will be less likely to fail. But also, burst resistance means that if something does puncture the ball, it won’t explode. Instead, it should deflate slowly so that you don’t land on the ground. The other main thing that you’ll need to decide on is size. Most exercise balls come in a range of sizes suited to people of different heights. A 65cm diameter is a pretty standard size and should work well for most people of average height (between 5’ and 6’). If you’re taller than 6’ you’ll want a larger ball around the 75cm mark. If you’re shorter than 5’ you’ll want a smaller ball around the 45 – 55cm mark. However, most manufacturers should provide a chart explaining the sizing options for their exercise balls. Exercise balls are hugely versatile and can be used in as many ways as your imagination can concoct. One of the most popular ways of using an exercise ball is to sit on instead of a chair. Sitting on an exercise ball forces you to use more core muscles to sit up straight and maintain good posture. As there’s no back to lean against, you can’t get lazy and slouch. Also, as it will move if you relax too much, you need to keep some stabilizing muscles active to keep you balanced in the middle of the ball. This means you get stronger while you sit, and burn some calories too! Note: When sitting on an exercise ball, your feet should be flat, your back should be straight, and your knees should be bent at a 90˚ angle. Take all the benefits of sitting on an exercise ball instead of a chair, and then add in free weights or resistance bands. Sitting on an exercise ball while you work your upper body with weights actually makes you use more of your core muscles than if you were standing while using the weights. Doing body weight exercises on the floor is an excellent way of building strength. 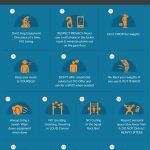 Doing these same exercises while balancing part of your body on your exercise ball activates a lot more muscles and makes the exercises much harder. 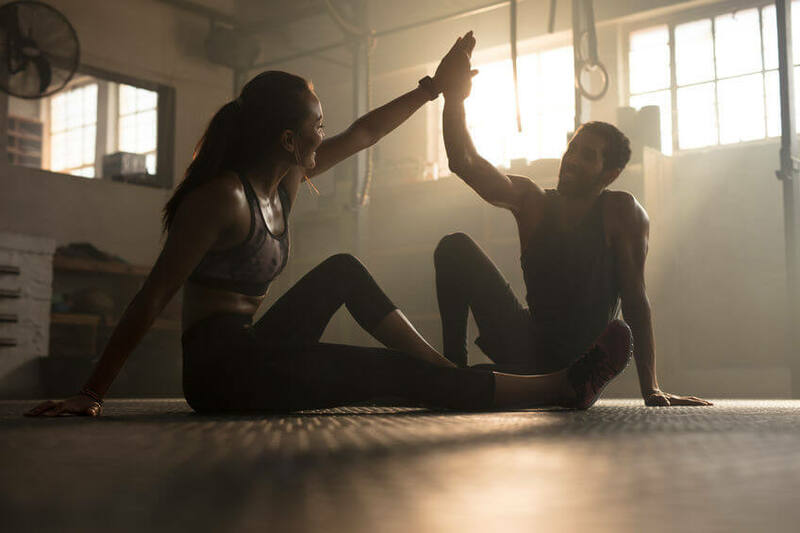 For example, instead of doing press-ups on the floor, balance your feet on the exercise ball and then do the press-ups with just your hands on the floor. Your entire core will be fired in your to keep your feet steady on the ball without rolling off. Exercise balls can also be a great addition to your yoga or Pilates routine. 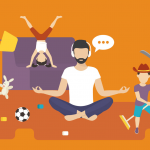 Strictly speaking, if you’re using an exercise ball, it’s not yoga. 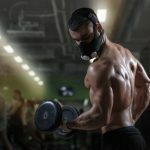 But, there is no reason why you can’t use an exercise ball in order to support your progress by strengthening certain muscle groups or improving balance. Pilates on the other hand definitely does utilize exercise balls. 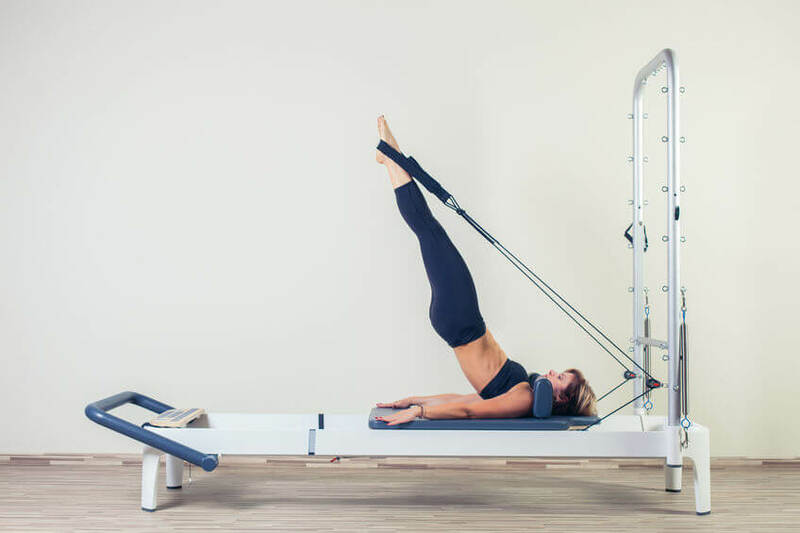 So if you’re considering getting into Pilates, an exercise ball will be a very useful tool for getting the most out of your workouts. Did you know that there are entire workouts dedicated to exercise balls? 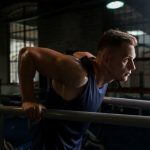 You can actually spend your entire workout with the exercise ball as your only piece of equipment and get a whole body workout in the process. 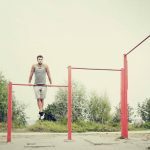 There are some excellent videos on YouTube with demonstrations of exercises that make it easier to visualize what you’re supposed to be doing. 1. 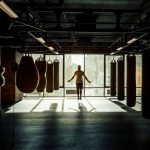 Begin sitting on the ball, bouncing gently and circulating your arms out to the side as if you’re drawing little circles with your middle finger on the wall. 2. While doing this, alternate circulating each leg in front of you as if your drawing little circles on the wall in front of you with your toes. 3. Once you feel warmed up, place your exercise ball against the wall at waist height. Press the small of your back into the exercise ball and squat until your knees are bent at a 90˚ Stand slowly and repeat, being careful to keep your knees aligned over your foot as your bend them. 4. Place your exercise ball back on the ground and balance your thighs or shins on the ball while placing your hands flat on the ground. Hold this position for a plank and then continue to do as many press-ups or press-up – plank repetitions as you normally would. 5. Kneel in front of the exercise ball and place your forearms on the ball with your hands clasped together. Roll forward until your thighs, back and forearms are aligned in a straight line. Then, being careful not to strain your back, roll the back up to a kneeling position. 6. Lying on your back on the floor, place your ankles and lower calves on the exercise ball with your legs straight. Bend your legs and use your feet to draw the exercise ball towards you. As the ball comes closer, aim to lift your hips higher so that your torso and thighs are aligned before rolling the ball back away from you. Working out with an exercise ball makes your workout more challenging by activating more core and stabilizing muscles that often don’t get used. Medical experts would probably argue that sitting on anything isn’t exactly good for you. But, sitting on an exercise ball is definitely better than sitting on a chair as it forces you to sit with better posture and strengthens your back and core. If used correctly, exercise balls can be a fantastic way of strengthening your back and relieving pain from injuries. This depends on your height. Generally speaking, an average height person should be comfortable with a 65cm ball. Taller or shorter people will be better suited to 75cm or 55cm balls respectively. Yes, it definitely can be. Sitting on an exercise ball while doing certain exercises has been shown to help female body cope with pregnancy and prepare for labor by opening up the hips, strengthening and/or relaxing back muscles, and encouraging the baby into the correct position for birth. This depends on the reason for your lower back pain. However, if your pain is due to compression or bad posture, sitting on an exercise ball will help to strengthen the muscles in your lower back, supporting better posture and relieving pressure that results from bad posture. All in all, an exercise ball is a no-brainer when it comes to your home gym set up. 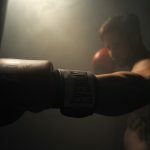 They are so versatile that they can be used in front of the TV or at the kitchen table, making your day to day life a healthier experience for your body rather than keeping the good habits in your gym room. Go ahead and comment below if you’ve tried any of the exercise balls above or had great results using an exercise ball at home. And don’t forget to subscribe if you haven’t yet.